Part 3 of why I think you should buy my game. When I made Flying Swordsmen, I was doing a retro-clone of Chris Pramas' Dragon Fist game. I'm into kung fu and wuxia movies, but it's not my abiding passion. I just thought Dragon Fist was a neat and fun little game that I didn't want to be lost when Green Ronin got the rights from WotC but then it (the updated version Green Ronin wanted to do) got mired down in production hell. So I decided to clone it, even though I am FAR from an expert in the genre, just a guy who enjoys it. And I think I did pretty well. With Chanbara, though, I do know exactly what I'm doing with the genre and the game. Many of you probably remember (or your memory will be jogged when I mention it), but I spent 10 years living in Japan teaching English. Before I went there, I took 3 years of Japanese language classes in university. While there, I continued to improve my language abilities, and immersed myself in the culture quite a bit. I almost said "as much as I could" there, but that's not strictly true. I spent plenty of time with other foreigner friends, even after I'd made some good Japanese friends. But I did spend a lot of time with those Japanese friends, and watching Japanese TV/movies, playing Japanese video games, and traveling around the country rather than jaunting off to Thailand on holidays. I've read a fair amount of Japanese history and mythology/legends as well. Now, there are people in my RPG circles who have spent as much or more time in Japan than I did. There are plenty who speak Japanese better than me (JLPT level 2, but after a decade in Korea I doubt I could pass that if you gave me the test today...I could probably pass level 3 though). I'm not even really into anime, although I've seen many of the 'classics.' I'm not trying to say I'm the best expert on Japan and Japanese legends in the OSR, but I do know what I'm talking about. And the game's "mythic Japanese" feel is all about my personal interpretation of Japan, and what's important in their history, legends, myths, and modern Japanese takes on their own history, myths and legends. I also think I've got a good grasp on what non-Japanese get wrong about the country, as I've been disabused of many of these misconceptions myself by hard experience. There is no mechanics of "honor" like in 1E OA. First of all, like in other countries, some people are obsessed with honor/status/face, but not everyone. It's also something that's subjective, so having objective standards of behavior that gain or lose you points in an RPG is constraining. If you want to be an honorable samurai (or whatever type of character), role play it. Social relationships are key. Acting in accord with social norms is approved of, although there is also glorification of the rebel/outsider/anti-hero at times. I devised a three-way system of awarding XP that encourages characters to make their social relationships part of the game, but doesn't overly penalize players who don't want to do so. Players who prioritize social relationships will gain levels faster and also other benefits but also responsibilities and drawbacks. Those who don't will level a little slower, but will be a lot richer and have more freedom at the expense of influence. Japanese monsters can get really weird. It seems like a lot of legends they tell were made simply to creep people out, or to get a laugh. Monsters aren't only there to provide combat challenges. There are also plenty of ways to use the monsters presented for role playing or puzzle challenges. And not every monster is immediately out to attack the players. Even without getting into anime or sentai shows, many depictions of samurai or ninja (and the less common depictions of magicians like onmyoji or yamabushi) are super-heroic. Granted, most are 'street level' if compared to Marvel or DC superheroes, but the focus is usually on people doing things that couldn't really happen - or at least would be very improbable. And I'm not just talking about Zatoichi the blind swordsman. Just like with Flying Swordsmen, it was important that I make a 'heavy' OSR game with plenty of kewl powrz. Yes, you could play an OA style game with just BX D&D, but it would miss some of the feel of the source material because of it. Thanks to the people who have purchased the game so far! I appreciate it, and if you have a review of the game, send me a link - I'd love to read it. Its been a while since I have read a game and been nodding my head at all the author's rules decisions. Kudos! 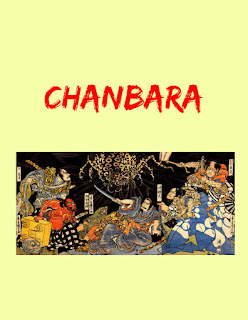 Now I am excited to try Chanbara out. Is there an off-the-shelf starting setting you'd recommend, or should I dive into some films and come up with a town, some factions, and a political situation? Thanks, Jed! I did the latter, but cribbed some notes from a historical fantasy Japan game I ran back in the 90's with a mix of AD&D 1E and 2E, and in another campaign I ran in the '00s using 3E OA. The game is set up setting free to allow the freedom to set it in pseudo-historical Japan, Kara-Tur or another pre-made feudal Japanese themed setting, or as you say build your own old school style. I will eventually edit my setting notes into a readable format and publish it as a companion setting, but for now you might do best on your own. As for recommendations, check out the Keanu Reeves "47 Ronin" (terrible adaptation of the legend, perfect Chanbara inspiration), "Owl's Castle", and if you can find it, "Onmyoji: The Yin/Yang Master." Oh, and for the home town, "Yojinbo" has a good town with lots of factions/conflict to borrow. Reading OA1 and Valley of the Mists for inspiration now. I found Owls Castle (1999) on YouTube - terrible Russian dubbing, but looks great. 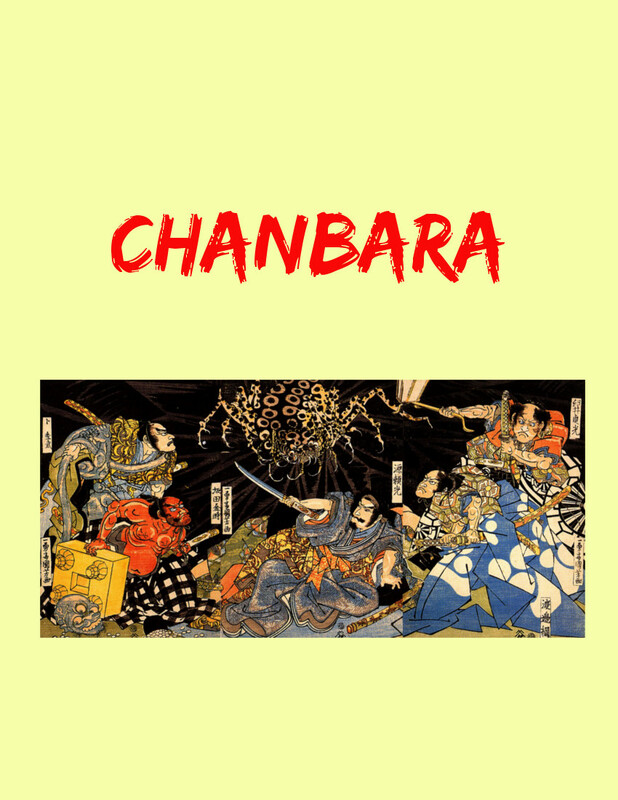 Are there any chanbara drama series worth checking out? I always enjoyed Abarenbo Shogun. Very formulaic, but fun to watch. Many NHK Taiga Dramas are good too, but would run for a year of weekly episodes so long! I never watched one consistently, but would catch the occasional episode. I'm personally partial to Furin Kazan (2007) because I lived in the province that was ruled by Takeda Shingen. Yoshitsune (2005) was good, too. My son and I saw a few episodes of Sanada Maru (2016) which was also pretty good, and I wish I had time to watch more of it. These are all more historical but still have plenty of action. Awesome, this gives me a lot to go on!